Nine people were taken to the hospital after this home caught fire Friday morning in Secor. 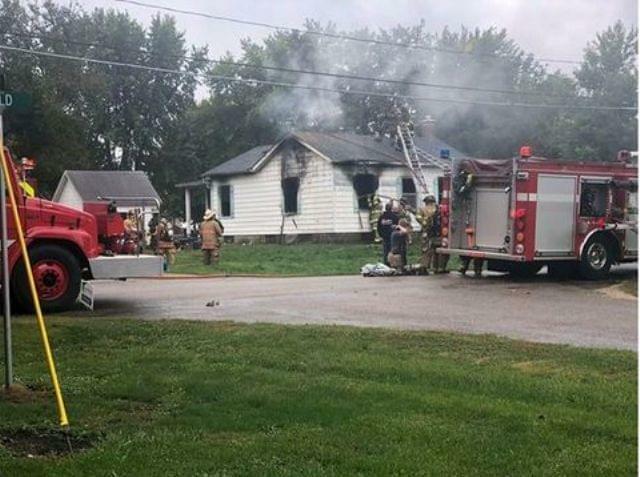 WOODFORD COUNTY – A house fire in the Woodford County community of Secor, between Eureka and El Paso, sent a total of nine people to local hospitals. Authorities said on social media that six of the nine people were children, and news partner, WMBD-TV reported none of victims were seriously hurt. Firefighters got the call about 10 o’clock Friday morning. The fire was apparently contained to the bedroom, but the rest of the home sustained smoke and water damage. The Ditch Bar and Grill at 106 W. Bestor Street in Secor announced on it’s Facebook page that it’s accepting donations of clothing, food, diapers, and other items to help the family.